One of the most frustrating things about being a foreigner in Pakistan is that everyone thinks you’re a spy. Everyone. It’s deeply annoying. Of course, nobody says it to your face. Pakistanis are far too polite for that. When I tell them that I am here to raise funds for an NGO which provides education and healthcare to people too poor to afford it for themselves they nod and smile and thank me – but I have no doubt that somewhere at the back of their mind is a niggling suspicion that I’m doing something else entirely. That I’m not an NGO worker but instead Jason Bourne, or James Bond. The fact that I’m not going to my office in the back of a fancy car but instead am sweating it out on the bus like everyone else doesn’t seem to dissuade them. Maybe that’s part of my elaborate cover. A cartoon showing the Afghan Emir threatened by Russia and the UK, both of whom professed to be his friend and ally. To be fair, their suspicion is partly logical. There is a long history of Westerners meddling in Pakistan, from the days of the Great Game when British spies headed north in disguise to map out mountain passes and to bribe local leaders, all the way through to Raymond Davis, the moronic CIA contractor who shot dead two men in Lahore and bribed his way out of trouble. You can’t blame Pakistanis for being angry about it. Wouldn’t we be angry if a Pakistani intelligence official shot people in Birmingham or Liverpool and got out of trouble by handing over a suitcase of cash to the families? But to attribute such nefarious motives to every single foreigner in the country is baffling. I know many people who have dedicated their lives – their entire working lives – to providing healthcare and education to impoverished Pakistanis. Doctors who could be earning six figure salaries in the West who spend their days sweating it out in Multan or Tank, saving the lives of people in return for a puny salary. Foreign aid workers who come to Pakistan to administer aid grants from Western countries – immense amounts of money, donated by taxpayers in the West to strengthen educational systems in remote areas – who aren’t allowed to renew their visas and are forced to leave. An entire hospital in the south of the country is on the point of closing because the only doctor can’t obtain a visa “for security reasons”. Quite how an elderly female doctor working in a remote area poses a mortal threat to the stability of Pakistan is anyone’s guess. Pakistan is a profoundly cynical and suspicious country. That comes from being the punching bag for the world’s superpowers, I guess; it is reasonable enough to suspect the motives of people who have screwed you over in the past. But to tar everyone with the same brush? To attribute the same nefarious motives to every single foreigner who come here? That is simply illogical. So there’s not much point saying this, since people here suspect everything and trust no-one, but here goes: I honestly want to see Pakistan strengthened, made prosperous, to see its education system improved so that everyone can go to school, to see the economy flourish, to see clean water and power and books available to everyone, everywhere. And you can quote me on that. We were sitting outside the Badshahi Mosque in Lahore. A light rain was falling. We huddled underneath a large umbrella and sipped the cups of chai which we had ordered. We needed the warmth from the tea as much as the caffeine, in much the same way that people in England drink tea to dispel the murky chill of February days more than for the actual taste. My son looked around. “I don’t think God can love people here” he said sadly. I was surprised by this. My wife and I have made a point of teaching our children that God loves all people equally. This is a fundamental tenet of our Christian faith, and a great number of cruelties in the world can be directly attributed to the mistaken belief that some people are more loved by God than others. I asked him what he meant. “Look at all the garbage” he said mournfully. “How can God love people when they don’t care for the world he created?”. I looked around. There was, indeed, a lot of rubbish. Paper cups, empty crisp packets, cigarette packs, crushed juice boxes – the detritus of a thousand tourists was strewn all around the courtyard in front of the mosque. During our train journey to Lahore we had looked out of the window to see immense piles of trash heaped up on the sides of the railway embankments, flung carelessly out of houses and left to fester. It is a part of life in the developing world that we have not yet learned to deal with. “Well”, I said, “do you remember how Mummy and I told you that we love you always, even when you’re naughty?”. “We do that because God loves us even when we’re naughty” I continued. “Even when we do bad things, God always loves us. So we should always try to be better”. “That’s a lot of love”. One Saturday morning we took the kids to the Golra Sharif train museum on the outskirts of Islamabad. The first difficulty we faced in this task was finding the museum at all, which is more difficult than you might think. Very few tourist attractions in Pakistan are actually signposted or labelled, and only the major ones have websites with visitor information on. Google Maps came to the rescue, indicating that the museum was in the E-11 sector of Islamabad. We duly drove in that direction, arrived in E-11, and started driving down the Golra Sharif road. Somewhat remarkably we found it first time, although we had to stop by a police checkpost to ask directions from the friendly policeman sitting outside. Several dozen speedbumps later, we arrived outside the museum and parked. The museum is actually part of the Raj-era Golra Sharif train station which is still a functioning facility, seeing traffic every day as trains rattle through from Peshawar en route to Rawalpindi, Lahore, and eventually Karachi. The waiting room has been converted into the museum’s main attraction: a collection of railway artefacts from the early days of the railways of the Raj. Glass cases containing lamps, uniforms, tools and other memorabilia line the walls. Unusually for Pakistan these are all well labelled in both Urdu and English. Chief among the attractions (for my 6 year old son, at least) is a gun rack containing original Raj-era rifles – possibly Lee Enfields, although I am not an expert. The musem’s sole attendant was only too happy to give us a guided tour. He was friendly and well-informed about the history of the station and of subcontinental railways in general. This being Pakistan, we were welcomed to handle the exhibits and were even given a brief lesson in how to load and fire the rifles. The next-door room contained a remarkable collection of original furniture including some of the infamously-named “Bombay Fornicators” – easy chairs with extended arm rests for impromptu naps. The room also featured an original Raj-era punkah or fan, a wooden beam suspended from the ceiling with a large square of linen attached. When a rope attached to the beam is pulled the linen swings back and forth , fanning the room with cool air. It was remarkably effective and an insight into how people managed to beat the heat before air conditioning was invented. The main attraction was found further down the station platform: an original locomotive attached to two carriages which were used by the last Viceroy, Mountbatten, and Jinnah, the founder of Pakistan, during a trip from Karachi to Lahore. Incredibly, the lights and fans are still functioning; my kdis enjoyed lying on the bunk beds and examining the kitchen in which food was prepared for these two remarkable men. It is fascinating to see such historical artefacts up close; in the UK they would no doubt be enclosed behind glass doors. We spent time wandering up and down the platform admiring the beauty of the ancient banyan trees which give it shade, and wondering at the signs advertising chai for sale, complete with Hindi script. The museum is a window into the past, truly a fascinating place. We tipped the museum guide – there is no charge for admission nor for the tour, but it seemed appropriate to thank him for helping us appreciate the museum – and made our way back home. In the summer the plains of the Punjab are insufferably hot. In the summer the hills of the Punjab are lush, green and comfortable. They therefore decided to move their capital from Rawalpindi to Murree during the summer months. The entire British administration of the Punjab shifted into the hills for a summer of dancing, shopping, and gardening. 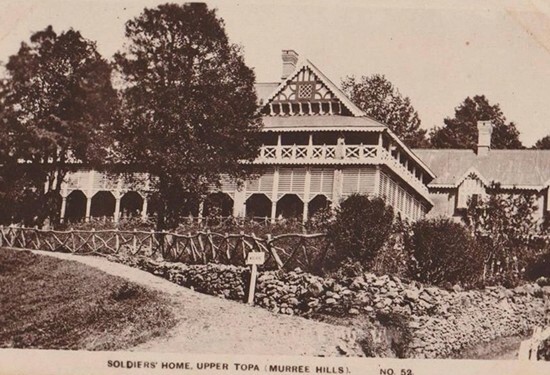 I have a map of Murree from the 1920s which marks all of the cottages built there by the British, all of them given suitably English names: Dingley Dell, Strawberry Villa, Derbyshire House. It was as if the green hills and regular rainfall reminded them so strongly of England that they sought to recreate a second England here, far from home. We are currently doing the same. At the moment we are living in a building that was originally constructed as a sanatorium for wounded British soldiers. 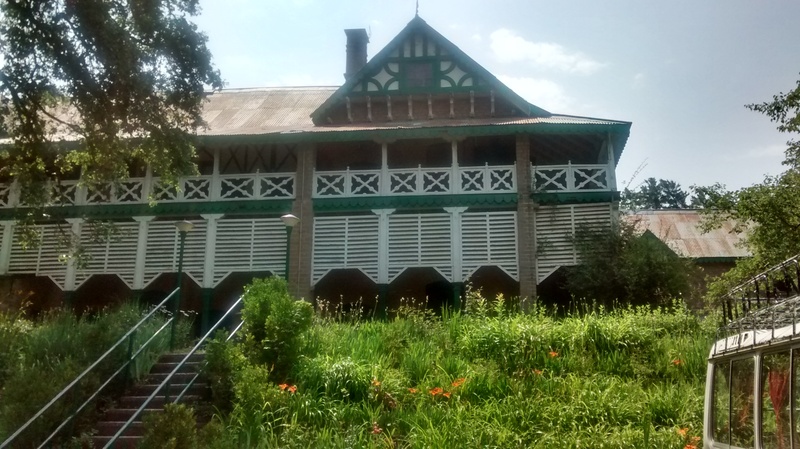 An Irish missionary by the name of Miss Sandes built it as a way of keeping bored soldiers away from the opium dens, brothels and drinking establishments of India. It is a beautiful place of lush grass, trees, birds and butterflies. It had, I imagine, the same effect on the wounded soldiers of the Raj as it is having on us: soothing our souls, calming our stress, taking us away from the summer heat and into a place of coolness and comfort. Our children spend their days running through the grass, exploring the trees, finding lizards and ladybirds, gaping at the spectacular and varied birdlife that zooms overhead. The soldiers of the Raj are long gone, and even their graves that dot the Murree hills are being eroded, worn away by the slow but incessant passage of time. Yet the buildings they left here are still being used to bless and refresh their distant compatriots, warriors in a different struggle, ambassadors of peace in a time of strife and fear. Imagine that one of your neighbours had a disagrement with another neighbour. Imagine, say, that the neighbour on one side of your house had a disagreement with the neighbour on the other side. Now imagine that they decided to settle the dispute by fighting. Further imagine that they decided to fight it out in your back garden, even though you had nothing to do with the original dispute. Congratulations: now you know how Pakistanis feel. It has long been the fate of this corner of the world to become the battleground for wars that do not immediately concern it. Pakistan has played host to more proxy conflicts than one would expect. Think about it. Alexander the Great breezed through here, his army passing a few kilometres north of where I am currently typing, on his way east. The Mongol Emperor Timur came down from Central Asia, crossed the Indus in what is now Pakistan, and went on to capture Delhi. The Persian Emperor Nadir Shah came through on his way to sack Delhi a few centuries later. The British later arrived, trekking through from west to east in their ill-fated invasion of Afghanistan in 1839. Pakistan then became the location of the Great Game as Britain and Russia fought out their differences in the late 19th century. Then came 1989 and the war in Afghanistan, with Pakistan becoming a place for refugees, for arms storage, and training. These days we see drone strikes and an increasing sense that the rivalry between the Saudis and the Iranians is being fought out in Baluchistan and, ideologically, the madrassas of Pakistan.